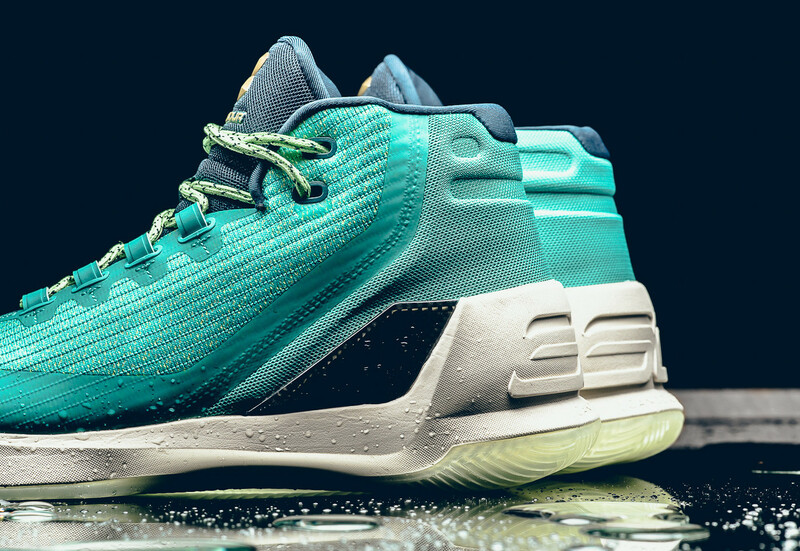 This colorway is inspired by Curry's fluid on-court movements. 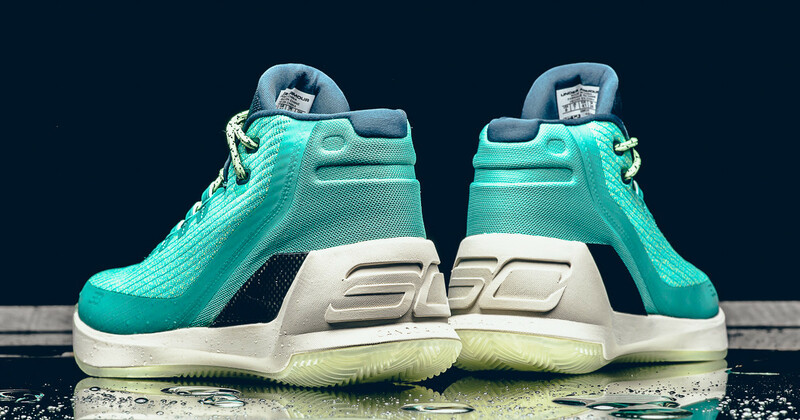 The Under Armour Curry 3's coming out party continues Friday with a colorway inspired by Curry's fluid form on the court. 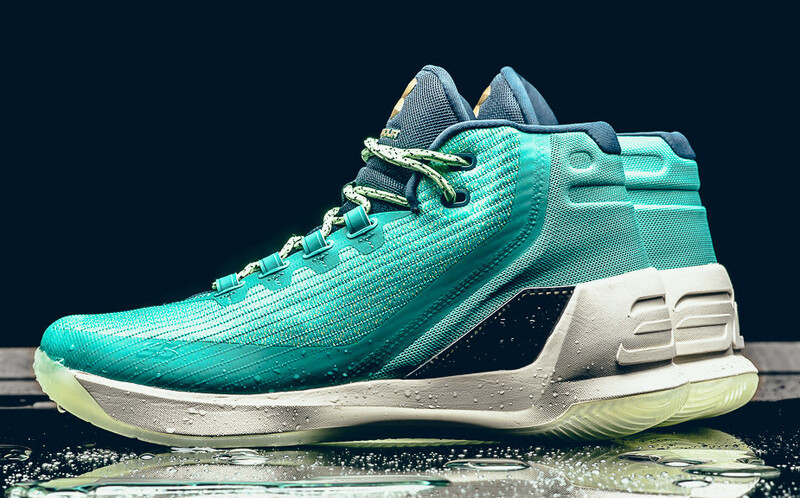 Known as the "Reign Water" Curry 3, this colorway features a "Neptune Green" upper with a navy tongue and neon and metallic gold accents. "I like the element of water being associated with my game. Free-flowing, can't be contained. 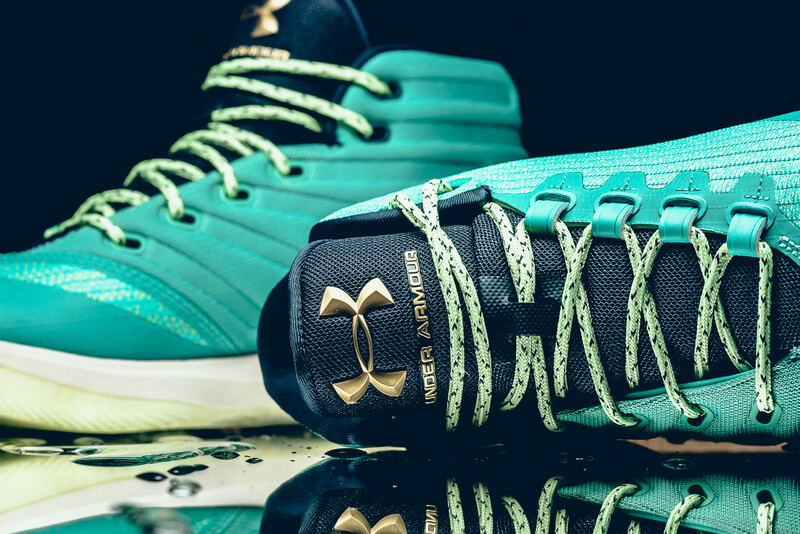 Just play free, have joy and let everything take care of itself," said Curry. 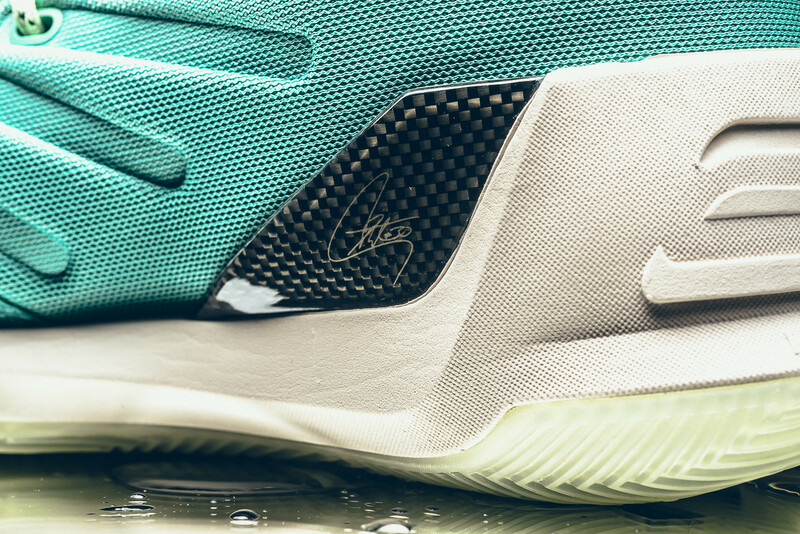 This pair is priced at $150 and will release on Friday, Oct. 28 from retailers like Sneaker Politics.